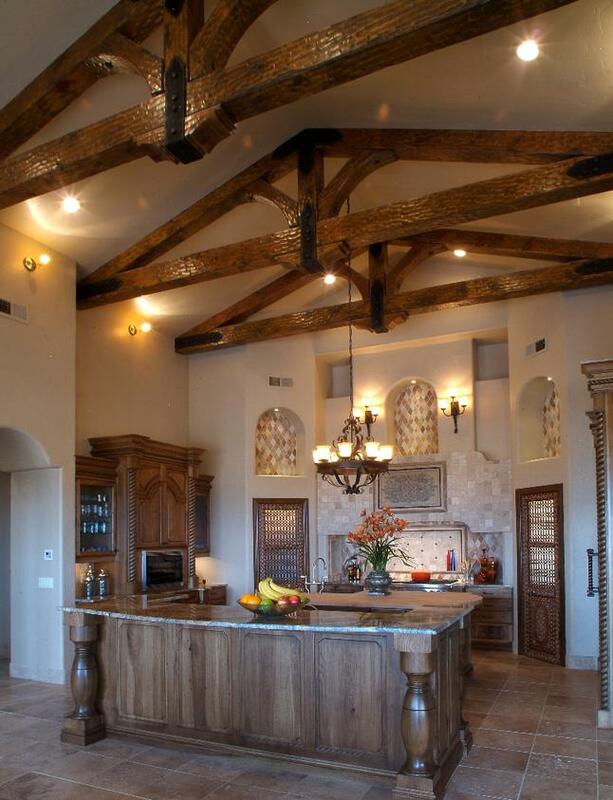 Our heavy timber and viga trusses create, in your home, a timeless grandeur. We offer designs, simple to complex, that are unsurpassed in appearance. We can also provide all necessary engineering. Come and meet with us today to begin planning your new home or renovation! Wholesale Timber & Viga produces its own rough-sawn lumber. 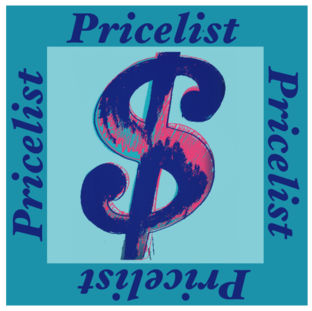 Save money by buying directly from the mill. 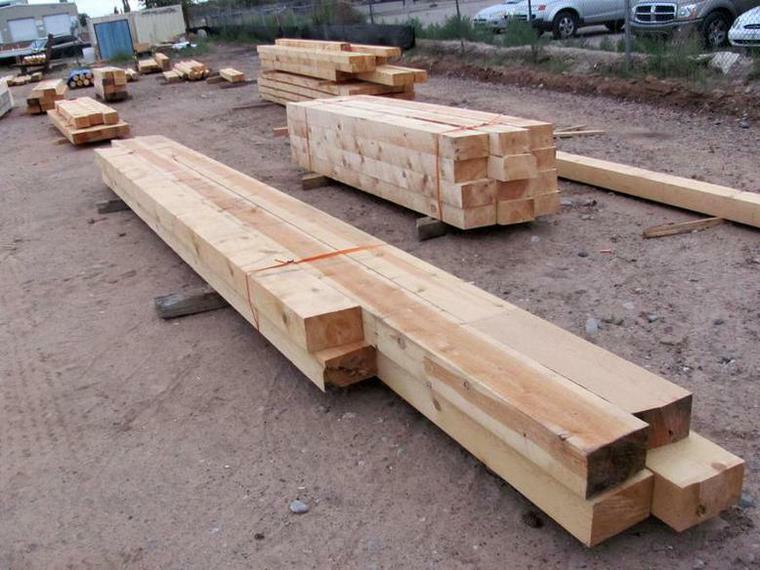 We can produce lumber of any size up to 24 inch by 24 inch and lengths up to 32 feet long. We produce custom cut rough-sawn orders with little lead time. We cut ponderosa pine, spruce, and douglas fir. 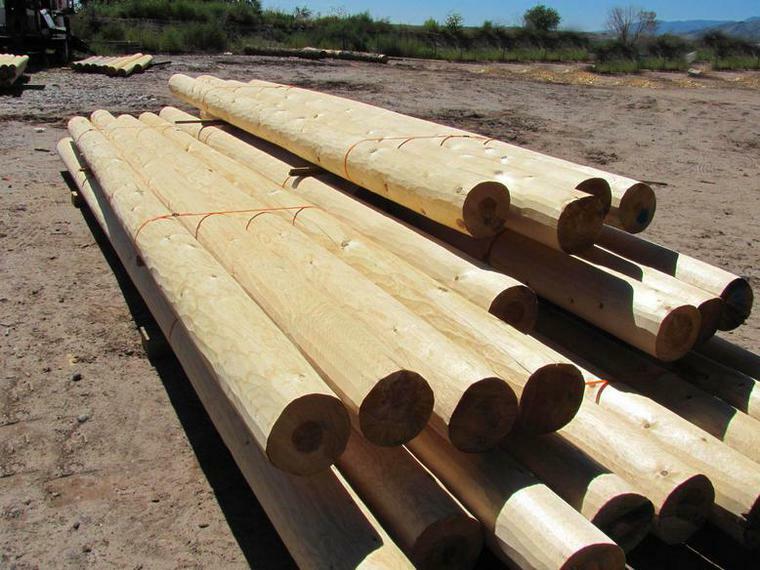 Wholesale Timber & Viga produces vigas of all diameters and lengths. Our ponderosa pine vigas are hand selected for straightness, then run through a machine peeler to remove the taper then hand drawknifed. 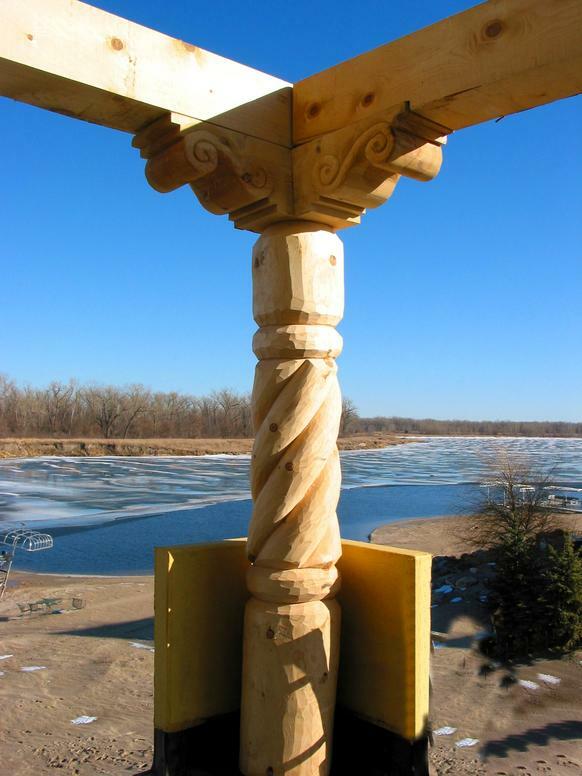 We also produce dead standing spruce vigas. Our spruce can be hand peeled or left with the natural grey patina. 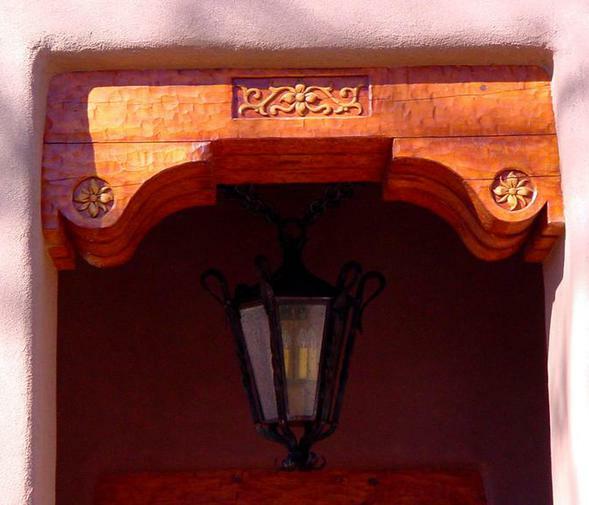 Corbel [kôrbəl] an architectural bracket usually used to support a structural timber. 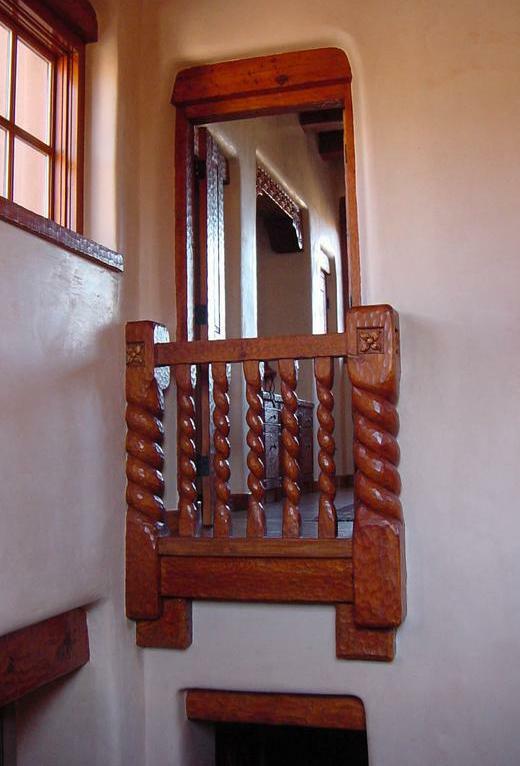 Most corbels are supported by a post or a wall. Starting with sawn timber we produce a wide variety of corbels, cut specifically for your project. Here at Wholesale Timber and Viga we have the finest artisans and designers on staff. 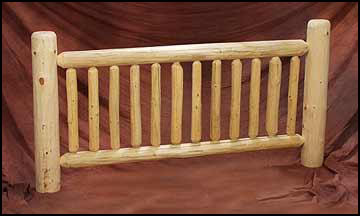 We have a wide variety of carving styles to choose from. 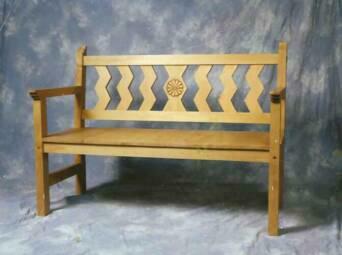 We can also work with you to design something specific to your project. Having our own carvers and designers on staff along with the facilities to produce our own lumber we can provide you with the best value and speedy delivery. 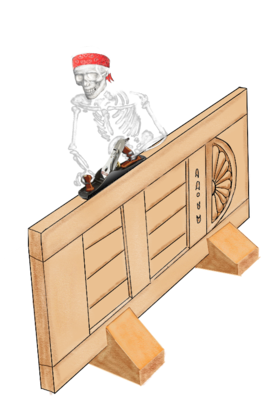 Latilla la•til•la [luh-tee-uh] A small diameter log used as decking above vigas or beams. Latillas are sold in a variety of finishes. Left unpeeled they are used for coyote fencing. Our skilled craftsmen can peel the bark off, using traditional drawknives. 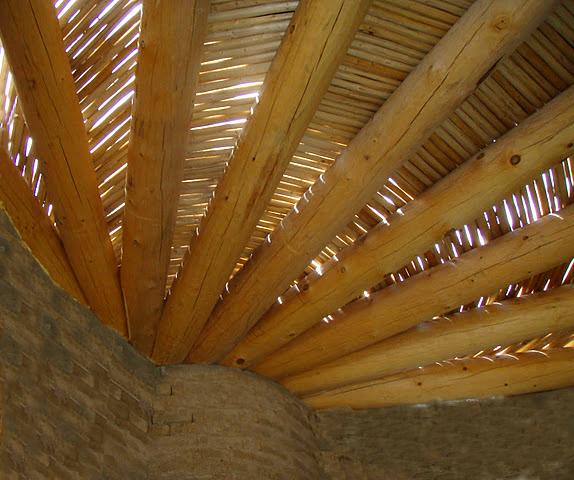 Peel latillas are used in ceilings and shade structures. 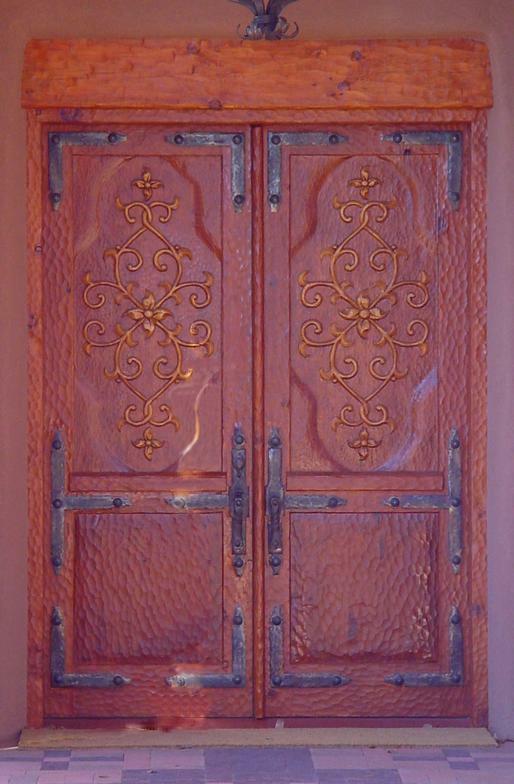 Latillas can also be used to make furniture and be used in doors, gates and cabinets. 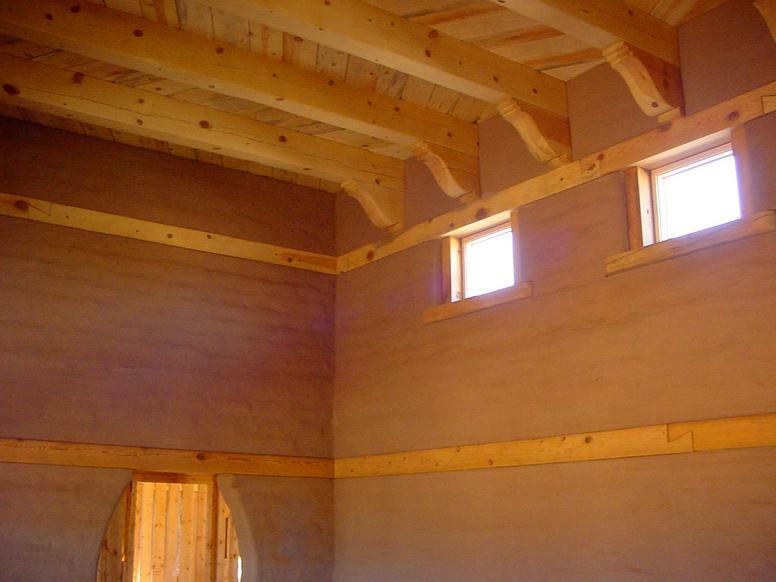 Wholesale Timber & Viga has the finest craftsmen in the Southwest. We can design and build a stunning entry to your new home. We have, on staff, the finest carvers, carpenters and blacksmiths. 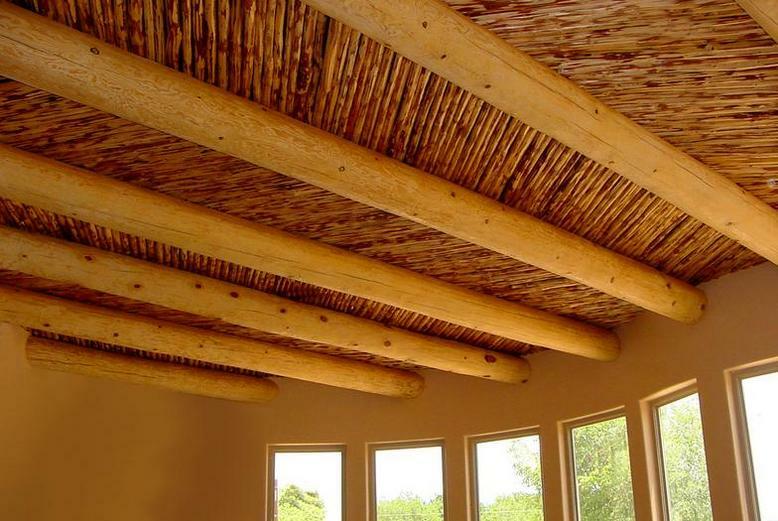 Let us bring the beauty of the Southwest to your home.